Spicy miso noodle soup with crisp roasted tofu, strips of kale, shoyu-marinated eggs, and Korean rice cakes instead of noodles. There are many unreasonable things about having to return home from Disney World in the middle of a northeast winter, but by far the worst is that the 37F temperatures that once felt like a tropical paradise are back to being akin to an Antarctic TUNDRA. So you come back under-dressed, overly tired, and downright irritable with a burning need for hand warmers, a cuppa something hot, and spring to happen, literally overnight. I’m not sure I have it in me to cold-adapt all over again, but at least I’ve got to try. So, SOUP. Specifically, spicy miso soup. It sets your body on fire from your taste buds all the way through to your bones, and it’s my go-to order from the Japanese place across the street whenever I’m feeling the hint of a cold coming on or am just generally winter bluesy. Hits the spot every time. The way they prepare it, it’s not really a meal on its own, so I’ve bulked it up here with crispy tofu, strips of kale in lieu of seaweed, sweet and salty marinated eggs, and Korean rice cakes, which can be found in the freezer section of your local Asian grocer, though you can always substitute rice noodles if you can’t find them. With a big container of this in our fridge, we might just make it through these final winter days. One bowl at a time. 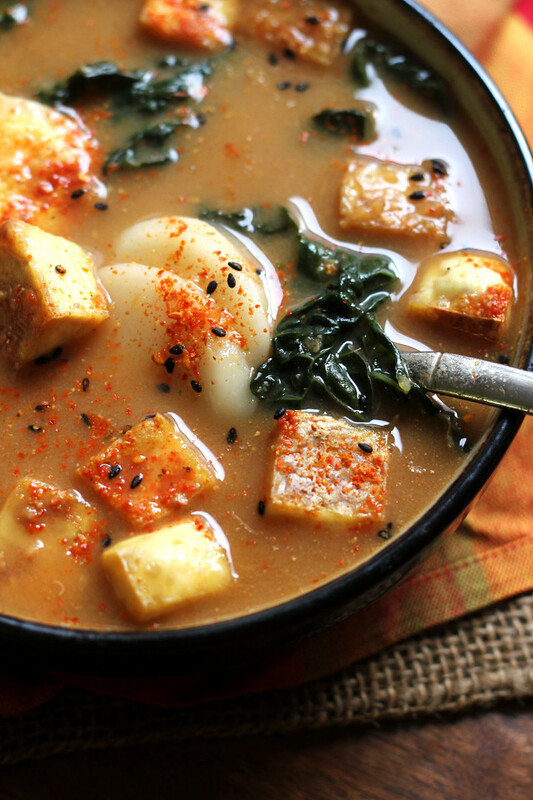 Spicy miso soup with crisp roasted tofu, strips of kale, shoyu-marinated eggs, and Korean rice cakes instead of noodles. For the spicy miso paste, combine all of the ingredients in a blender or food processor and pulse until pureed, scraping down the sides of the bowl as needed. Set aside. For the eggs, gently place the eggs in a small pot and fill so that the eggs are covered by 1 inch. Add a pinch of salt and bring the water to a bare simmer over medium-high heat, then immediately lower heat just so that the water stays at a bare simmer. As soon as the water starts to simmer like this, set at time for 4 minutes and 30 seconds. Once the time is up, move the eggs into a bowl of cold water and let them cool completely. Stir together the soy sauce, dark brown sugar, and water in a small pot. Warm up just enough to melt the sugar and then set aside. Peel the eggs and then submerge them in this soy sauce mixture, allowing them to marinate for at least 30 minutes, turning them occasionally while marinating. Heat oven to 425F. Spread the tofu cubes on a parchment-lined baking sheet and roast for 25 minutes. Remove from the oven and set aside. In a large pot, bring the vegetable broth and water to a boil. Stir the miso paste into the liquid. Add the Korean rice cakes, kale, and tofu cubes. Allow the Korean rice cakes to cook in the broth until tender. Add more water as necessary if the rice cakes soak up too much of the broth. Serve topped with 1 egg and a sprinkling of nanami togarashi or sriracha. The seasons are changing, we are entering autumn and I need to stock up on soup recipes. It took all I had this morning to leave the warm train station and make the “trek” (like 5 minutes) to work. So, I can’t even imagine what Florida to New York temperatures feel like! 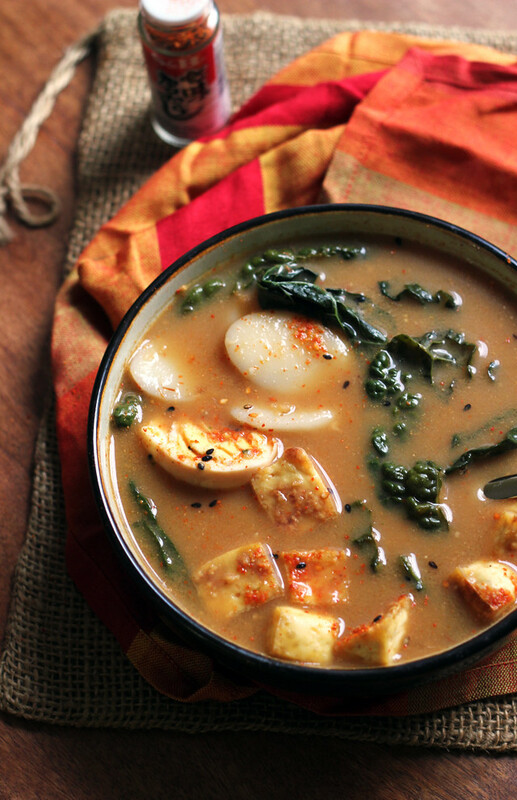 This soup is probably the only thing that can save the day! I totally agree, 37 F feels hot here, but not after returning from a warmer place! It should start to warm up at least a little 🙂 Love this soup, looks comforting and extra delicious! Hope you had fun at FBF! 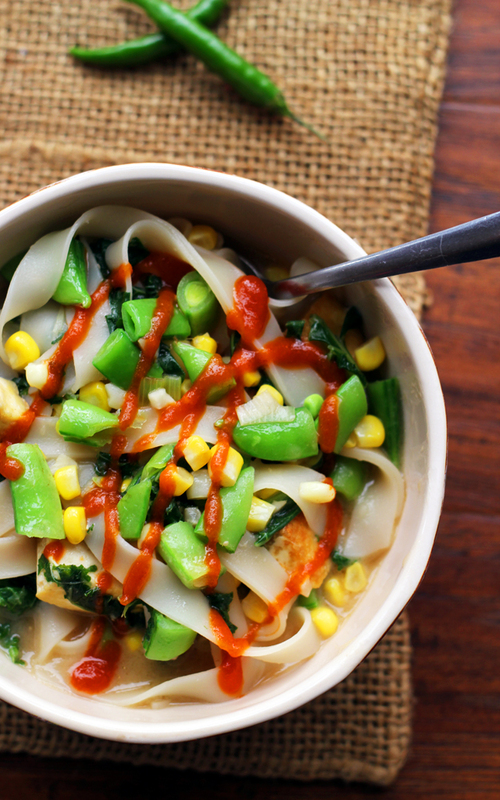 And speaking of spicy, this sounds so good (with or without cold weather). I wish I came home to this soup last night! It looks beyond amazing and super comforting! Love the rice cakes and two different misos in here! 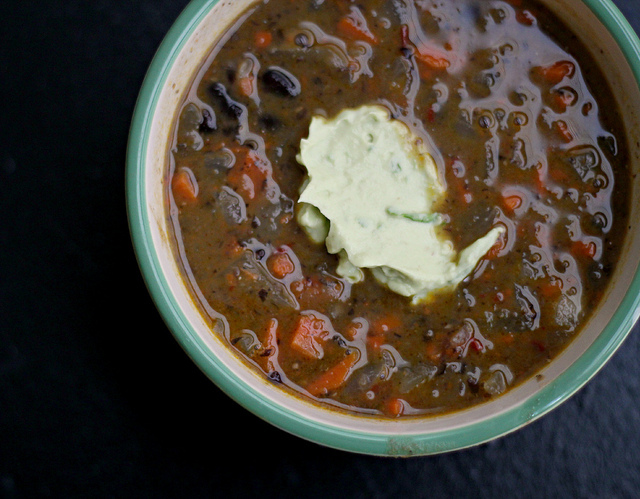 The heat from the chili paste makes this the perfect soup to warm up with! 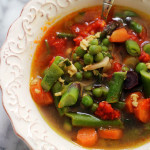 This soup is filled with great flavors, colors, and textures! I am sure it warmed you right up. YUM. 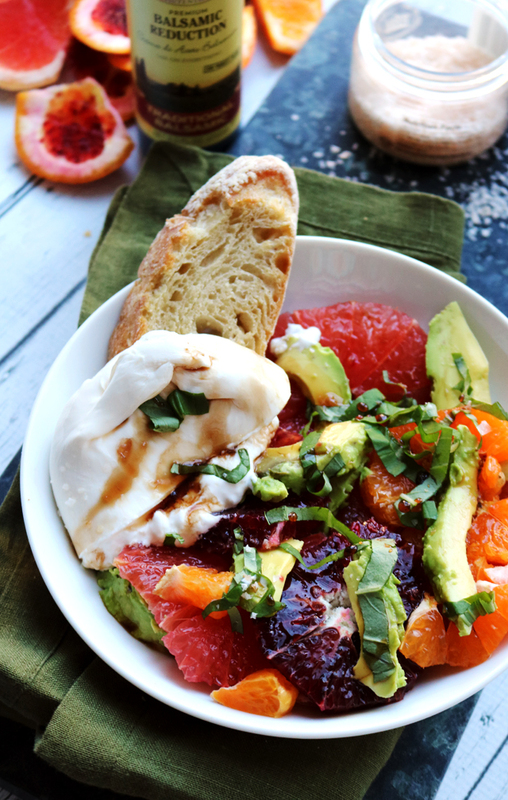 It’s snowing like crazy here so I DEF need a big bowl of this comforting yumminess. Love the unique flavors and ingredients! I’ve never used or found miso paste- now you’re gonna make me go down to the Asian market, LOL! Can I tell you a little secret? we are flying to Hawaii tomorrow morning…..
from there we go to a conference in Washington DC, which should be a thermic shock almost as bad as the one you’ve got…. I want all of these soups. Delicious!! 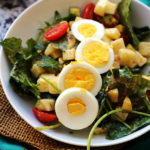 I cannot get over these shoyu hard-boiled eggs – wow! 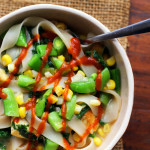 Mmmm – delicious – Joanne – miso is such a comfort food and this one looks so hearty and comforting. I can’t believe I’ve never heard of this dish. It looks absolutely delicious. Amazing recipe. Yeah, at least you got to escape to Disney for a lil bit! I am in need of this because it is currently freezing raining all over my life. Ugh!!! Why do we all live in cold climates? I don’t get it. I too am ready for Spring to happen yesterday. 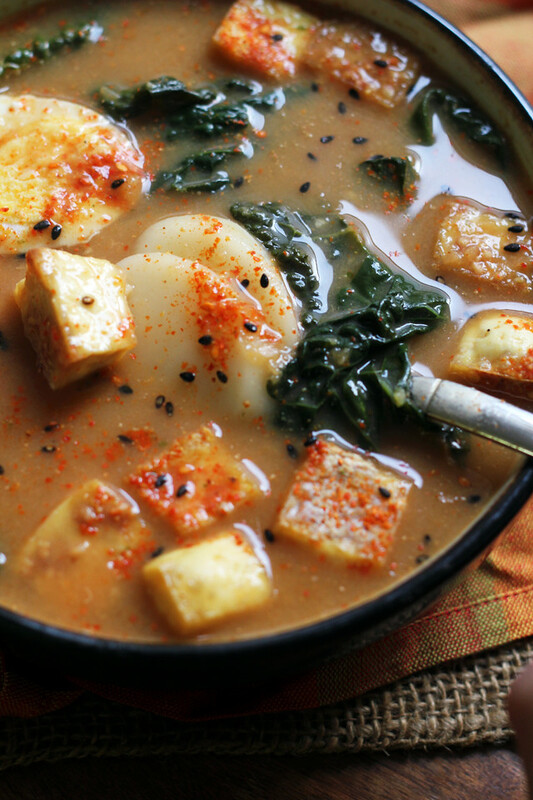 I love that you gravitated towards this soup after your travels. It certainly meets all the requirements for comfort food. This looks delicious, and if our “significant snow event” occurs in DC tomorrow night, it may be for breakfast on Thursday morning! I had the same bounceback 2 weeks ago, and it happened for me in about 2 days. Yesterday, 36 degrees felt balmy. Ugh, I’m so behind on my reading. Unlike a cruise, I have a backyard pool to blame…which is just days away from being completed. And it’s 75 degrees here. And all I want to do is play ooooutsiiiiide. 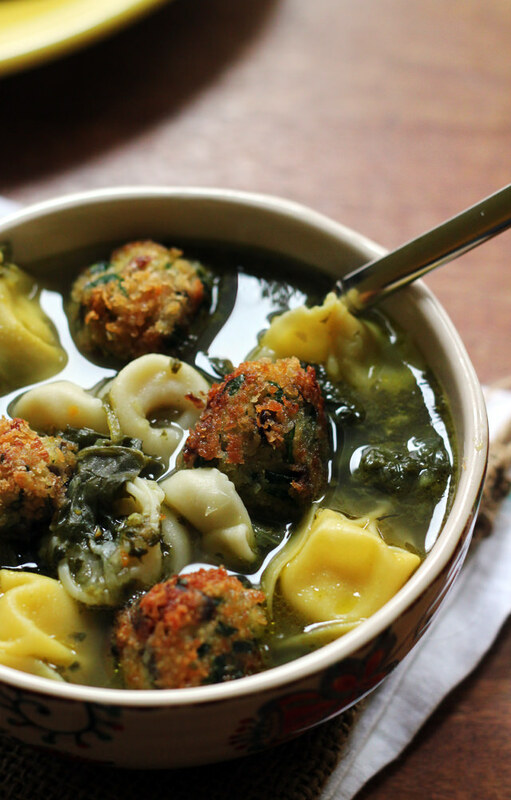 But even in this weather, I’ll still take a bowl of this soup. Because deliciousness cannot be restricted by the silly seasons. I really like miso soup (I like miso anything, really) but especially if it’s spicy! That’s just beautiful and ideal for the crappy cold winter we are having. Noted and craving. I’m not a big fan of soup but this one looks absolutely wonderful. 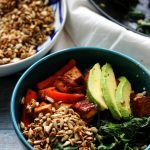 Love the tofu and all the spices in it! I’m so sick of this cold weather too. And now they are calling for more snow here tomorrow night – 8 inches. When is enough enough????? We did miso soup this weekend. Perfect for the cold rainy nights we’ve been having. My eyes always light up when I see a soup recipe!! Delicious!! Pinned! I love the Instagram photos of Disney, the one of your husband in that mouse hat! I was about 5 hours north of you and I assure you, you all were warmer!! 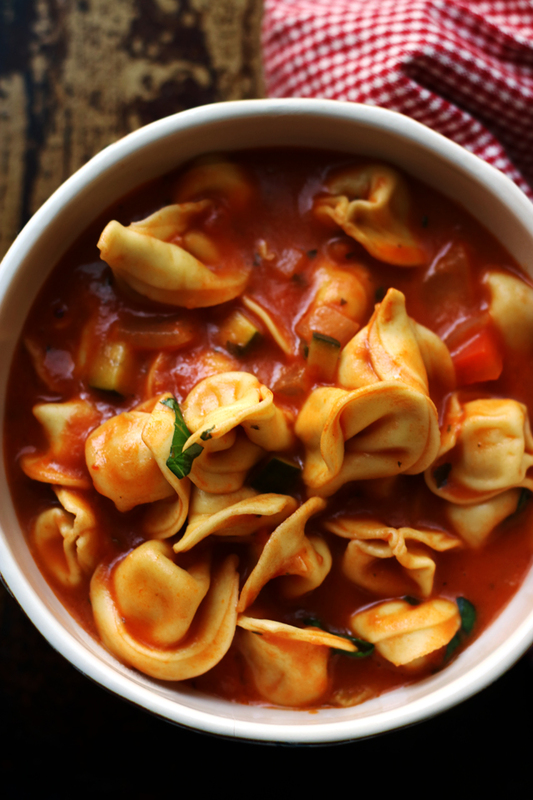 Love the looks of this soul warming soup. Glad you got to escape the cold weather for a while! This soup looks delicious. I love how you combined so many different textures! 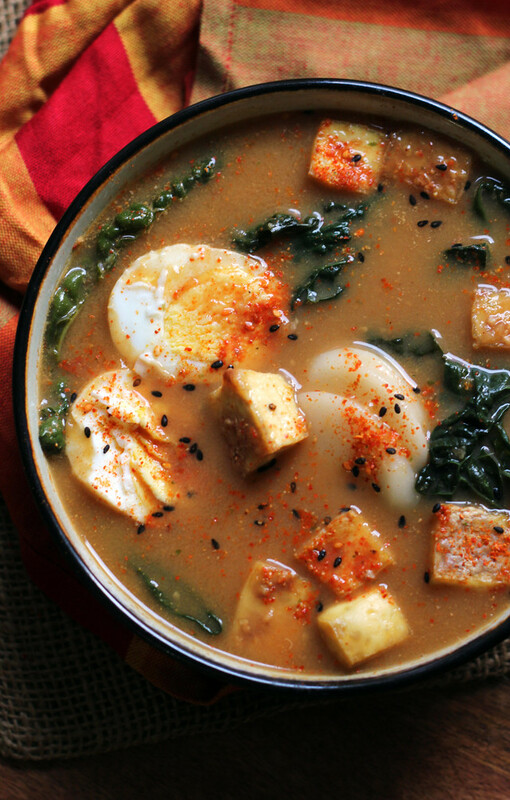 I am definitely marinating hard boiled eggs the next time I make them, and will then definitely be making this miso soup too at some point! Joanne, girl I absolutely love that you put Korean rice cakes in here!! you know it’s so weird but I only use those around New Year’s (Korean tradition thing). . why don’t I use these more often?!!! this soup is brilliant!!! I’ve been complaining about how cold it’s been here, and we’re at a mere 45 degrees, ha! We’ve been spoiled rotten with a warm winter, although we could seriously use feet upon feet of snow to get us out of this drought. Miso soup…I NEED! I’ve never made it in my own home but I’m craving that warm broth like whoa. Korean rice cakes? Gimme ’em all! I completely agree with Julia, I’m complaining that my mornings are in the upper 40s when really, everywhere else in the US is sooo much colder. Nothing like a good ol soup to warm us all up! I always see Korean Rice Cakes at the Asian Market but never know what to do with them…thank you! 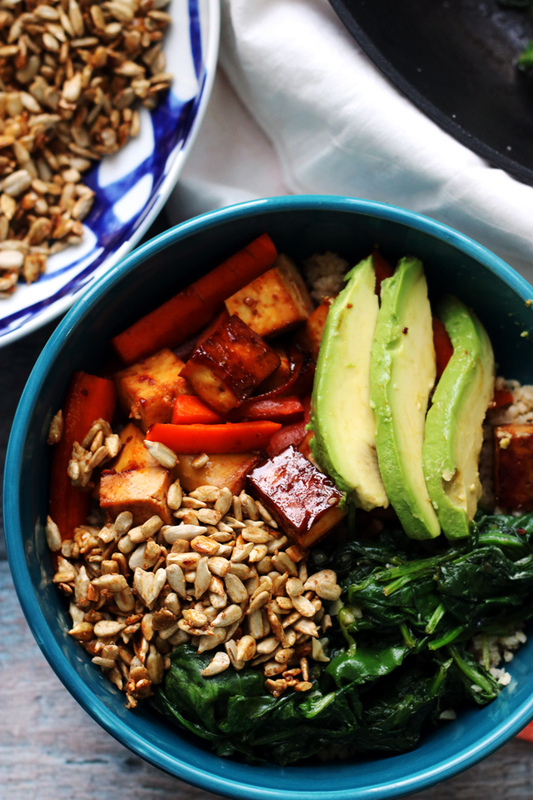 Loving this “bowl-dinner”…warm and comforting. 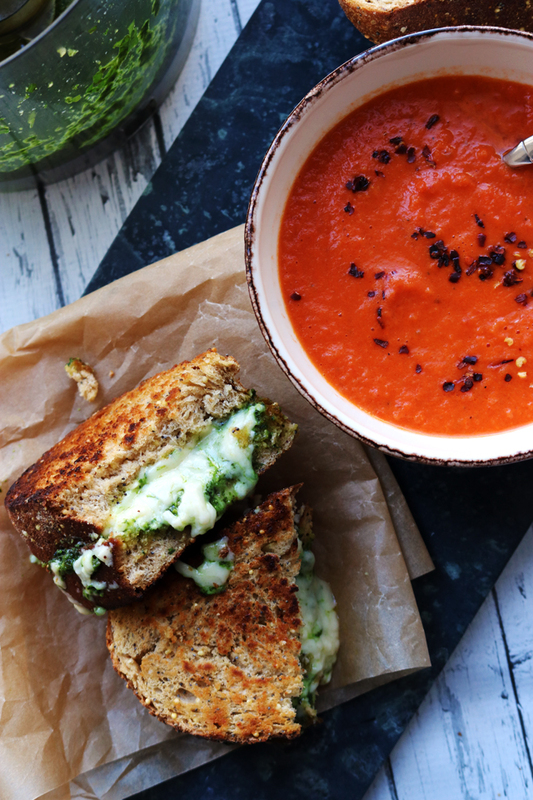 And this soup is the perfect dish for it to accompany! I love this type of food, sounds amazing!